In this chapter I would like to remind the reader again of some of the facts concerning the mechanism of vision. Only a very small part of that function is yet understood. The really important factors are beyond the present range of human knowledge. But many facts and aspects are established which give light enough on the problem to make clear the lines of approach for those who are interested — interested in an endeavor to correct whatever visual dysfunctions with which they may be afflicted. 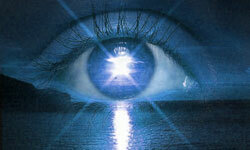 It is known that a force called radiant energy, contacts the human chemistry in the recording retina of the eye. The transformation which follows that reaction sends on a force which so acts on cells in both of the visual centers in the brain, that a conception is formed in the mind. Without the mind the eyes could not function. The mind gives all the orders, receives the incoming messages, and makes all the decisions. It is true that the mind must work with the images that are received on the retina. But in the great majority of difficulties with vision, the fault is that the external muscles of the eye act in an abnormal manner and misdirect the rays of light after they enter the eye. This certainly is the fault of the control center in the brain. On the other hand, there is sufficient evidence that the brain can work effectively with retinal images that are impressed on the retina under conditions which are quite abnormal. For instance, a woman of fifty-eight, with a thin scar on the surface of one eye, which spread in front of the lens, secured a most remarkable improvement in vision in a short time. The scar was the result of an infection in early life. The first day I saw it, she looked straight into the noon-day sun with that eye, and said it looked light; across the street it was dark. She had not seen anything with that eye for over thirty years. Her other eye had very poor sight. In a few weeks she could see three lines on the Snellen Test Chart, right through the scar; and she could not look into the sun. The improvement continued and the sight of the other eye, also, was much improved. It would seem that the confirmed habit of the mind was changed, because it became interested in a new way, and in the exercise of its power. Whatever messages it received from the retina were now utilized as they had not been for over thirty years. A man of fifty-three came to me with a condition of what is called detached retina, in both eyes. That condition was consequent upon an extreme degree of near-sightedness, which had been growing worse for over thirty years. The retina is held closely against the inner surface of the eyeball walls by the pressure outward of the fluid contained in the eyeball. There are different ways in which that membrane may be pulled or pushed away from the walls, so that it is separated in rolls or patches, as one sees old wallpaper sometimes separated from the wall. He wore constantly a pair of prisms, and when he wanted to read, he added a second pair of glasses, in front of the first pair. He had been informed by two specialists that he would ultimately be unable to see, even with artificial lenses. When he tried to see, he had to look below or above the lines he wanted, in order to catch the rays of light on the folds of the displaced retina. That man became able to read without any lenses, and at times he could see with very little change in the direction of his eyes. The measure which helped him most, perhaps, was the use of a Kromayer ultra violet ray lamp directed right through the lens of the eye. When he ceased coming to me he was quite happy with the fine improvement in his vision. It would be beside the point, and of no value here, to offer any explanation of the conduct of the different factors involved in the detachment of the retinas, the failure of sight, and the wonderful improvement secured by the treatment. It is not a question of veracity – nor need it be. There are those who have opacities in the lens, called cataracts, and the raysof light are so hindered that the patient is capable of very little sight. Such conditions often improve, and the patient may even be blessed with a return of normal vision, without any treatment. A patient of mine, who was afflicted with cataracts for many years, and finally, in her own words, was almost blind, secured a wonderful improvement in two weeks, and soon had very good vision. The opacities continued, easily seen at all times, but variable, however, in size and in density. Although always helped by sunlight and methods of relaxation, there was a constant undercurrent of a special tension in her mind which would often hamper and disturb the vision, and was relieved, sometimes in a moment, when the morbid attitude of the mind was overcome by some simple expedient which secured relaxation. Even a very little deliberation impresses one with the large part the mind has in the process, when a conception is registered from an impression coming into the conscious mind. Very much depends upon custom and familiarity. A technical worker sees constantly, almost automatically, what a stranger to that work can hardly see, and must actually learn to visualize. But that stranger can see quicker and better than the worker, the details in a picture which is familiar to his own mind. We often seem to see an object as it generally is, when actually a detail is changed — she has had her hair cut, he has no watch chain on, or has a belt he never wore before, the old cover is gone from the spare tire, there is a new rug on the floor-and we must admit, “Oh, yes, I hadn’t noticed it.” We are familiar with the word “extraordinary,” and read it without noticing the letters, but when we come to the word “mechanist,” which we never saw before, the mind commands “wait – attention.” Women, late in life, can thread a fine needle, even when they cannot read ordinary print, or write without glasses. The previous knowledge, the habit of the mind, its degree of attention at the moment, have much to do with what we see when we are looking. In other words, past impressions, habits of the mind, attention, imagination, all of these even modify the orders of the mind to the eye-muscles that perform the automatic function of accommodation. Often I have enabled a patient to improve the sight so much in half an hour that the eyes could read three or four lines more (lower) on the Snellen Test Chart. This by simply securing an alert and attentive interest on the part of the mind. There are many ways of doing that, of course. But it is necessary, absolutely, that the mind be freed from constraint or in- hibition, either mental habits or any distracting influences. Nothwithstanding the difference in minds and their habits, I have learned that eyes which are different in every way respond with a fine increase in the power of vision whenever the conscious effort is strong enough to enlist the co-operation of the part of the mind which commonly takes charge of the automatic functioning of all the factors involved in vision. It is often difficult to secure that necessary attitude of mind. The subconscious part of the mind does not always yield readily its habit of taking complete charge. Under abnormal conditions it frequently constrains the visual centers, and the subordinate muscles of accommodation, to reflect in their conduct the same state of tension which is present in the mind. Often, when a patient is sure there is an absolute compliance with instructions, it is evident that the will of the patient has made no real impression upon the working part of the mind. Commonly, children respond more readily. That is to be expected. Their minds are more flexible – less confined in fixed attitudes and habits. There must be back of the endeavor, that which I have learned to think of as an emotion. The child I cannot interest is very hard to improve. 4n the other hand, when an adult, even an elderly person, is impressed with a conviction which is an emotion, the change will always come, and sometimes it begins instantly. In a case referred to briefly in an earlier chapter, a man of forty-two, with a record of fine eyes far thirty-five years, reported a serious progressive condition of astigmatism for seven years. The three different specialists, and the many pairs of glasses he lead tried, had failed to restrain the development of the malady. He came to me only because the third specialist had refused even to try a new set of lenses at the moment; and the patient responded, in a perfunctory way, to a friend’s suggestion that he try the method which had helped the friend’s own similar condition. His consciousness of his extremity prepared his strong, practical mind for a conception new and different from anything he had ever heard before. He only raised his eyebrows when told that his trouble was caused by eyestrain. He had been told that before. He was amused when told that mental tension was the cause of the eyestrain. But when it was made clear to him that there certainly was a center in the mind which controlled the automatic conduct of the eyes, just as every other function in the body is likewise controlled, he grasped the significance of the new explanation. His mind had already realized that his vision was even more important to him than his business. When asked how many hours a day he could give to the new endeavor, instead of explaining what a busy man he was, he deliberated a moment and then answered that he could devote four hours each day to the trial. The improvement began at once. The emotion which moved him insisted, through his will, and secured the co-operation of every part of his mind, and the orders to the eyes were changed. This case is one of those which make it seem so clear to me that every factor in the complicated act of seeing is part of a complex, inseparable mechanism. The brain is the engin eer. The mind is the captain. When the captain is mindful of his duty, every part of the mechanism will perform in order, and there will be no conflict. In a current book, which is now a classic, written by one who has been a life-long physician as well as a biologist, it is emphasized that it is necessary to have an accurate knowledge of the physiological and mental functions of man, and of his adaptive functions. The author asserts that the atrophy of mans adaptive functions, consequent upon the habits of modern life, is a chief cause of the weakness of human beings. But it is the very existence of these functions, he points out, that permits us to intervene victoriously against the declining powers of the race, and put the race back on the road to physical salvation. That conception is an exact explanation of what is wrong with the human eye today. It is failing to use its adaptive function,	There are those who offer the preposterous assertion that the eye is being called on for work nature never intended it should do, and for which it is not adapted, and which it cannot do. Those who make this claim seem to be unconscious of the fact that many millions are meeting today the conditions named specifically as impossible, and are living proofs of the present power, ready for any need, of the adaptive function which that author claims is the salvation of those who want it. Their assertion, and that is all they could claim for such a statement, leaves out of account the adaptive function which is one of the obvious qualities in the history of the eye. In all but one of the fields of medicine there is a sustained effort to practice earnestly what the author of that book has so powerfully preached. The eye alone is being neglected. There is no least effort being made to study, and nurture, and develop and save the functions and power of the mechanism of vision. The higher mental elements of the faculty of vision are being deliberately ignored. The prevailing method of treating visual dysfunctions apparently takes it for granted that the human lens has not the power to use its adaptive function – in other words, that it cannot refract the rays of light properly, and that it cannot recover what power it has lost. The prevailing method ignores the human lens, and gives the eye an artificial glass lens to refract the light rays right through it back to the retina. Two of my cases, brothers, are most interesting from the point of view of this chapter. The first one, twenty years old, came about a slight injury, but spoke incidentally about his eyesight. He asked about a good “eye doctor”. His report was that from his earliest recollection he had been near-sighted. He remembered that when he began to read, he had to “stick his face in the book”; and he kept that up, in spite of the remonstrance of his father. During the years, his trouble had continued, and now he was so near-sighted at his work in the shop, that he had decided to get a pair of glasses. My first surprise was when I found he could read the ten-foot line at twelve feet – although he had never seen the Snellen Test Chart before. I then tried his eyes on some stereoscopic pictures which are arranged for testing the focusing power of the eyes. The two pictures on the cards are duplicates, one on each half of the card. The test is for the eyes to fuse both pictures into one — just as the normal eyes fuse into a single image the objects which are seen differently with each eye. When the eyes are at fault, the pictures on the cards will not be seen as one. They may show to the mind different aspects. They may partly merge in different combinations. They may fuse perfectly and then separate. They may change when the picture is moved to different inches away from or nearer to the eyes. One picture may seem to be above the other. It often happens that the eyes being tested will seem to see the picture which is on the left half of the card as though it was on the right half. For instance, on one card the picture on the left half is the two letters ON, and on the right half the two letters NE. When the eyes fuse in a normal manner, the four letters fuse into the word ONE. Often I have had a patient apparently see on the right half the two letters ON, and on the left half the two letters NE. Since the eyes cannot see, with the right eye the letters on the left half of the card, nor with the left eye the letters on the right half of the card, such a transposition cannot be effected by the eyes. The fault in the fusion must be in the section of the vision mechanism which is behind the retina. The fault must be in the fusion center. In those cases fusion is in confusion. I have always succeeded in having the patient correct the fault, and see the pictures as the normal eyes see them. This patient could not fuse a single picture. His eyes were not noticeably near-sighted. What he saw he could see very clearly at the far end of the slide on which the card moved back and forth. By suitable encouragement I was able to help him relax the tension which was causing the confusion. I succeeded in having his mind stop trying anxiously to see the picture in a normal manner. As he gradually became passive to the. idea that his eyes would act in a normal manner if he ceased to have that urge in his mind, the different pictures began to look more like the correct single picture the normal eye would see. He finally saw most of the pictures just as the normal eye would see them. The parrot on one side of a picture went into the cage on the opposite half of the card. If the parrots head or his tail stuck out of the cage, we talked it over, and polly was coaxed back into the cage again. I found with this patient, as I find with most, that he could fuse more easily duplicate photos of landscapes, than he could the puzzle pictures. This probably is because the mind is accustomed to fusing what is seen in daily life, and finds it harder to fuse two pictures it has never seen before, like an empty parrot cage floating in the air, and a parrot standing in the air without any support. The study of that patient during the hour we worked with the stereoscopic cards demonstrated to me that what he had been troubled with for so many years was a peculiar type of astigmatism. The reason he thought he was near-sighted, was because his astigmatism had found its own peculiar way of seeing things coherently when it could not see them in the normal way. The abnormal conduct of the eyes was corrected in that first hour I saw him. There was some remnant of the astigmatism left the first night. The next evening it was cleared up, and the patient saw clearly and fused every stereoscopic picture I showed him. His eyes were normal for his work, and have remained so ever since. Because of his own success, he asked me if I thought the Bates method would help his brothers right eye. That eye had been sightless from birth, as near as was known. Ten years before, when the brother was twelve years old, he had asked an optometrist if he could give him a lens that would enable him to see with the sightless eye. The optometrist had examined the eye, and told him it had never developed, and it never would develop. Whereupon he never made any, further inquiry of anyone. He came to me himself. Although I could find nothing abnormal with the eye when I used the ophthalmoscope, I found he could see very little more than light and shadow. I suggested that he have the eye examined by a medical practitioner who was an eye specialist. He replied that he had no money. I gave him a note to the clinic of a university in San Francisco. They reported to me that he had an Amblyopia Ex Anopsia — which meant that his eye could not see because it had not ever had the habit of seeing. They examined his eye fully, he reported to me, and told him the only treatment of value would be a constant habit of shutting off the good left eye, and making the blind right eye learn to see, whenever he could practice that way. He re- ported that they informed him it would take two or three years before he would be able to see anything worth while. The patient was “out of a job” at that time, and occupied himself much of the day with the practices I described to him. He lay for several periods, of the day so that the strong sun was shining directly on his closed eyelids. He kept his mind attentive while he looked, without any strain, but with an alert attention, at some specific object, generally the letters on the Snellen Test Chart. He was instructed to confine his mind to the imagination of a small spot on the letter or whatever he was looking at, remembering it as he saw it with his good eye. He relaxed by lying down and listening for periods to some music or suitable program on the radio, his eyes closed, and his mind on the picture he was imagining, never thinking of his eye, always thinking of something objectively, so as to keep all other ideas out of mind. I did not examine his eye for eight days. He had been learning to see the letters on the Snellen Test Chart. I found that he could read the top three lines on that card. He would name any letter I pointed to. He could also see the equivalent of that in other objects – large letters or figures near his eye, a book, an ink well, a watch, a telephone, etc. His eye continued to improve, so that one Sunday evening when I met him on a ferry boat he was able to read, with his good eye closed, large type letters on the back of a small magazine which I am sure he never saw before. There was nothing miraculous in the result secured in this case. A case which came under my care consequent upon her knowledge of this case, a woman of thirty-five who had been blind from birth, had an experience very similar, and in as short a time. In all of these cases there was no difference in the underlying principles o€ the practice directed by the eye specialist in the clinic and the specific instructions I gave. It was not until a few months after the treatment of the two young men that I learned the secret of their very fine suc- cess. It developed that a young woman who knew of the suc cess some other cases had secured with the Bates method under my care, was very well acquainted with both of the young men. She had so impressed their minds with the confidence that the astigmatism could be cured in the case of the younger brother, that when he came to my office his mind was already convinced, and ready for action. That is the reason, as I believe, that his eyes were able to record clearly the images of the letters at a distance of twelve feet. The stereoscope was a new and strange experience; but the new attitude of his mind was alert, and the orders from the visual center directed a normal conduct on the part of every element in his mechanism of vision. There is fine food for thought in the consideration of the conduct of the minds of both of these patients, not only at the time of treatment, but during the previous years. Although the two young men had each a serious trouble with his vision, for the fifteen years that they both were conscious of it, one had sought no relief, and the other had made only one effort about his blind eye, and then accepted from an optometrist, without any review, a statement which condemned him to a sightless eye for life. Why then such a complete reversal of attitude? Why such a wonderful response to treatment? Any effort to explain and describe the mentality and reactions of these patients would be, of course, largely a matter of personal opinion. The aspect of the subject I am trying to call attention to is what seems to me the very plain proof that it was the mind, and not the eyes, which was responsible for the abnormal vision that troubled all .three of these patients, and ceased when their minds became interested in an emotion which was new and earnest.